Press TV – Leader of the Islamic Revolution Ayatollah Seyyed Ali Khamenei says the recent decision by the United States to designate Iran’s Islamic Revolution Guards Corps (IRGC) a “foreign terrorist organization” is rooted in America’s “rancor” against the force, which has been on the forefront of the fight against Iran’s enemies. In a meeting with IRGC personnel and their family members in the capital, Tehran, on Tuesday, which is IRGC Commemoration Day, Ayatollah Khamenei said the IRGC was on the front-lines of the fight against enemies both inside and outside of Iran. “The IRGC is the vanguard both on the field confronting the enemy on the [Iranian] borders and even several thousand kilometers away… [in Syria] and on the political battleground against the enemy,” the Leader said, adding that the Americans hold a grudge against the force for that reason. 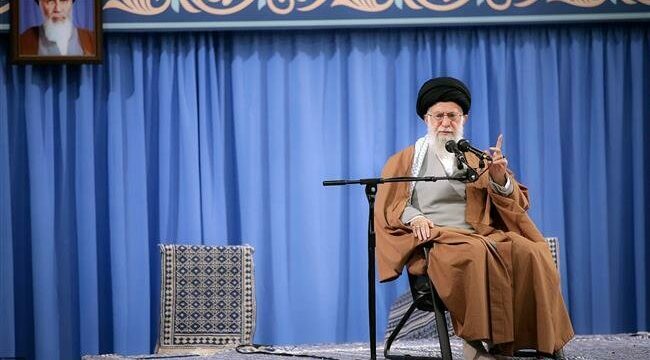 Ayatollah Khamenei said 40 years of an all-out pressure campaign against Iran had failed to impede the country’s progress. He said such pressure failed to break Iran even when the Islamic Republic was young. In response to the Trump administration’s hostile move, Iran’s Supreme National Security Council (SNSC) has designated American forces in West Asia, known as the United States Central Command (CENTCOM), a terrorist organization.